Search Engine Optimization or SEO is an important tool with regards to generating inbound marketing leads. The technique described in this article works by creating a web page, called a landing page. This targets a key phrase or group of keywords that people are searching for, for example “App Development Guelph”. Local SEO Landing Pages allow website owners to easily obtain first page ranking for the keywords of your choice. By creating a page dedicated to this, you don’t waste efforts trying to write a page that tries to rank for all kind of unrelated keywords, which doesn’t work. In the beginning, we were afraid to execute Search Engine Optimization Campaigns, and didn’t even believe that it worked. We experimented and we studied the search engine results. Pretty soon we noticed that a lot of the top-ranking sites source code showed they were using WordPress with Yoast. We made all of our service pages as landing pages, so we can cast a wide net to capture leads for all our different services. Yoast is a search engine optimization tool that can be used as a plugin or on its own. In this case we have installed Yoast in our WordPress website. Yoast displays in the editing page for all pages that are in the website content management system. 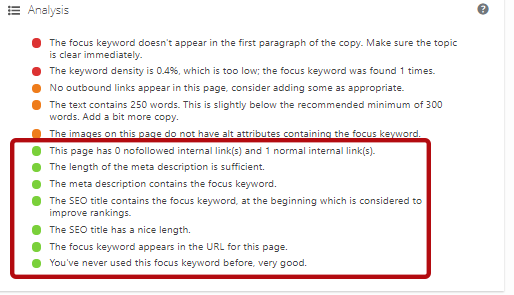 This tool shows the “focus” keyword which we are trying to rank for. This is a good way to save time on SEO, although it doesn’t mean that we can’t use other keywords throughout the page that are related. The focus keyword for the page is the starting point of the SEO. For this page, we chose App Development. By using the name of the relevant local areas, such as Guelph, Cambridge, Kitchener and Waterloo,in our page, for example in the title and the body of the page we also get a number one rank for local searches such as “App Development Waterloo” and “App Development Cambridge”. This tool saves a lot of time not having to manually calculate these formulas and providing recommendations on best practices instantly. Although the recommendations are good, they are just a general guideline. For example, there is an “Alt” tag which the tool doesn’t recognize containing the keyword, “mobile-application-development-guelph”. This still improves the SEO of the page. The title tag is relevant and has the focus keyword terms in the first few words in the title tag. The website address includes the string “app-development” which indicates the relevance towards this topic. The overall rank of the site, is also a big factor, the age, the number of inbound links, the “Pagerank” the strength of the page according to Google. There is copy, not quite 300 characters but enough that Google understands that this information provided is relevant to the topic. Seperate and dedicated landing page for the subject. The other points are noted in the Yoast plugin (https://yoast.com/ ) in the screenshots above. The ones highlighted in green mean we have followed the recommendations of Yoast for these items. This WordPress plugin is free, and is continually updated to provide the best SEO recommendations. 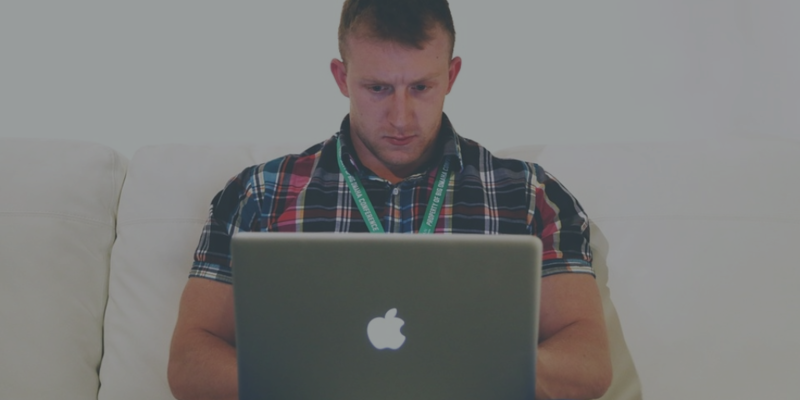 By following the recommendations that Yoast provides, you are off to a good start, but you can also think of alternative keywords that you might want to rank for that are related. For our company another useful keyphrase is “mobile application development” If you search for “Mobile Application Development Guelph” it also comes up number one as of this writing in Google. Pick keywords or phrases relevant to your business to add to the page and get more traffic. You can use Google Adwords Keyword research tool to find the best keywords, related to the focus keyword. Using Landing pages with Yoast and WordPress, and you can easily create a landing page that ranks on the first page of local Google search within a matter of months, in conjunction with other well know SEO techniques. This tool can also be used on your blog as well. Other ideas for your landing page are to create a form to capture leads straight from the page, add testimonials and pictures of the staff etc. Include a thank you page if they fill out the form as well as providing them additional content and your next steps. If you need help with your landing pages, inbound marketing or SEO, Visual Thinkers is happy to assist!